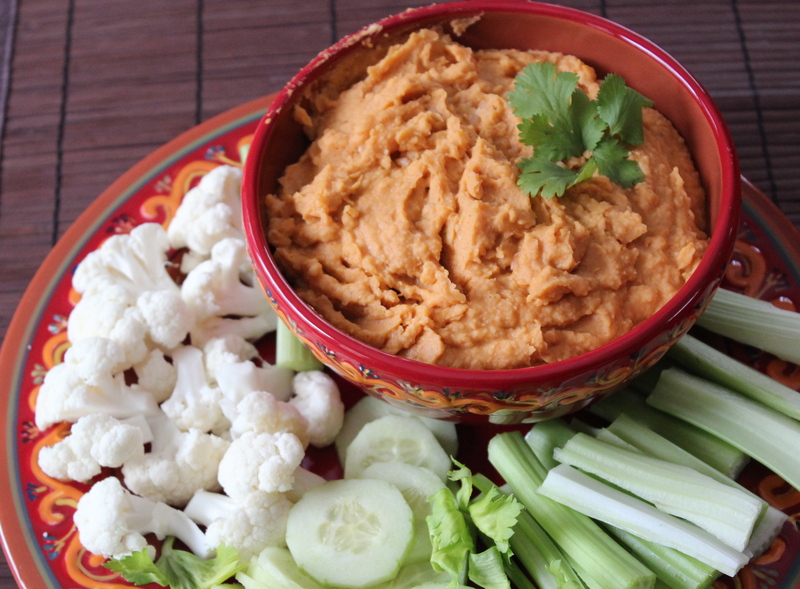 Spicy white bean dip with crudités. 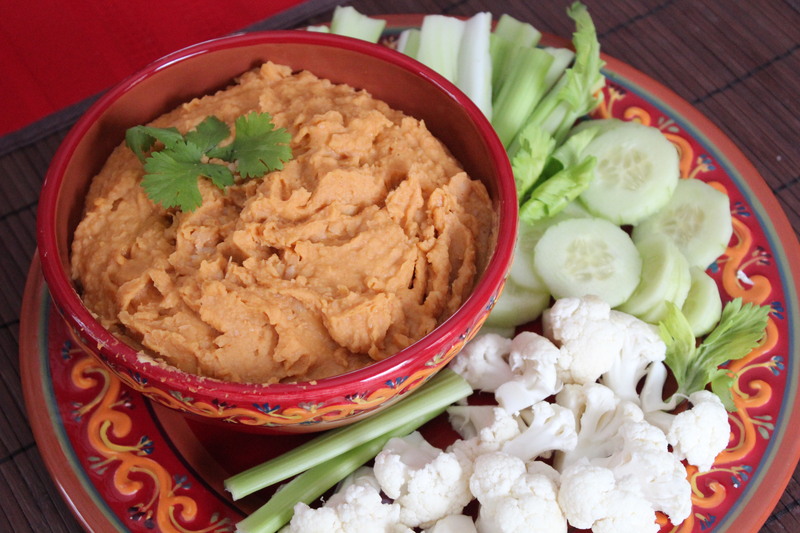 Most times when you hear the word “dip” you think, appetizer. Well, so do I, mostly. However I also think of a dip as lunch or on its way to becoming lunch. What I mean is that when you combine a really interesting, tasty dip with raw veggies and some whole-grain crackers, or pitas that becomes lunch; at least for me it does. 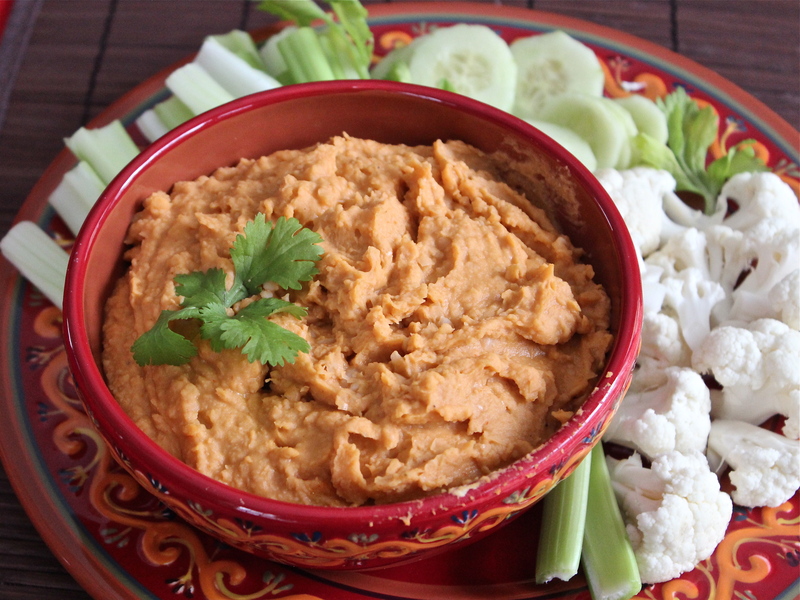 Another way to enjoy this dip is to use it to appease your appetite, when you’re starving. Like you just came home from work, ravenous , you could eat shoe leather, but instead here you have a nutritious fill-in to snack on while you make dinner. I know you are going to like this, because I do, and I didn’t think I would. I was so wrong!!!! Give it a try, it might just become you’re new favorite food. In the work bowl of a food processor, place all the ingredients through lime juice. Process to blend well. Taste and season with salt and pepper. Add water, a little at a time, to achieve a smooth consistency. Spoon into a serving bowl and garnish with cilantro. 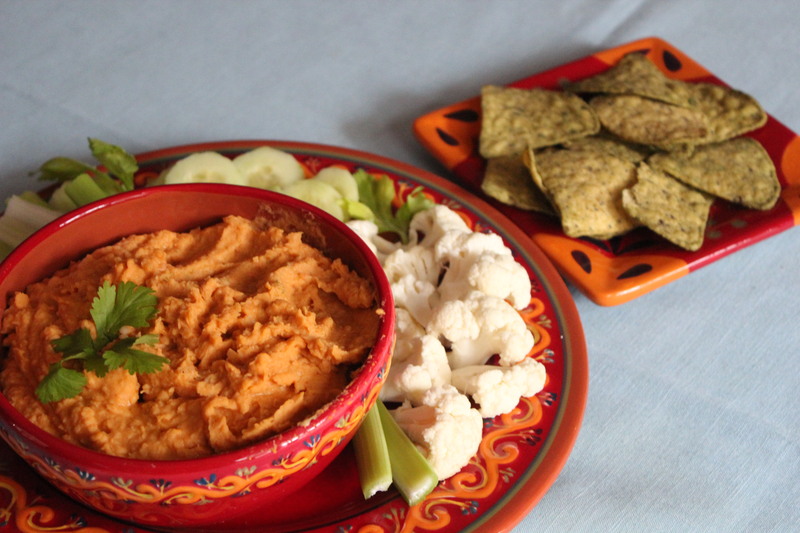 Serve with raw vegetables, crackers, pita chips, etc. This is sooooo good that once I started on it I did not want to stop. Luckily I was eating it with raw veggies, so I at least got in a fair share of my allotted requirement of vegetables for the day, a la the food pyramid. Spicy, but not too spicy–just right!